In personal injury cases, the plaintiffs (victims) must prove that their injuries were caused, at least in part, by the negligence of another. This differs from workers’ compensation cases, which are no-fault. 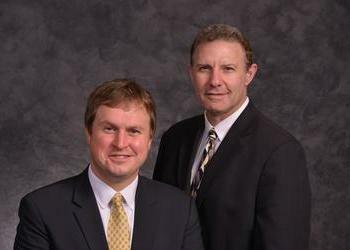 Our attorneys are skilled in litigating personal injury cases and proving the liability of the defendant. Our knowledgeable Chicago personal injury attorneys are dedicated to obtaining full, fair and just compensation for our clients regardless of the circumstances of their cases. In cases where the defendant’s behavior is particularly egregious, punitive damages meant not to compensate the plaintiff but rather to punish the defendant may also be awarded. Punitive damages are not appropriate in every personal injury case, but they can be awarded in amounts as high as 10 times the compensatory damages or more. The Chicago personal injury law firm of Katz Friedman, Eagle, Eisenstein, Johnson & Bareck is dedicated to protecting the legal rights of victims of personal injury accidents and we will vigorously work to get you the compensation you deserve. Our Chicago injury lawyers are well-respected by their legal peers and we are an AV-rated law firm, which marks its reputation as among the most knowledgeable and ethical attorneys in its field. Five of the labor attorneys at Katz Friedman, Eagle, Eisenstein, Johnson & Bareck are Illinois Super Lawyers and four of our labor attorneys are rated “Best Lawyers in America.” Our union attorney Stan Eisenstein has been an Illinois Super Lawyer since 2005. If you have been injured in an accident that is not your fault, contact us for a free initial consultation with one of our knowledgeable Chicago personal injury attorneys to discuss your case. We charge on a contingency basis, which means there is no fee unless we win your case.